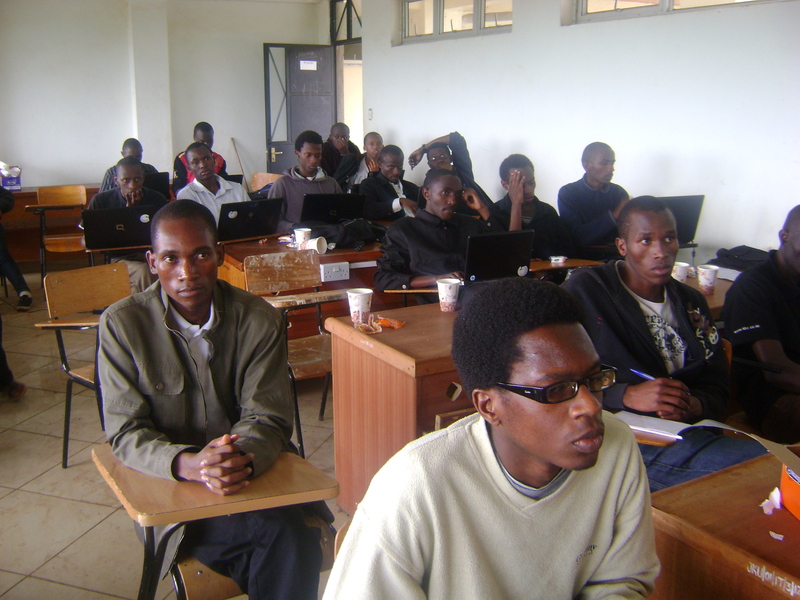 The just concluded SCOSIT Hackathon exceeded the expectations of so many people. At seven o’clock there was no sign of life at the venue. We counted seven people at the venue. The committee members helped by some volunteers started setting up the room. The first thing we did was to get a music system, set it up and then we had some music playing. By half past seven the room was nearly full and all our earlier worries evaporated. 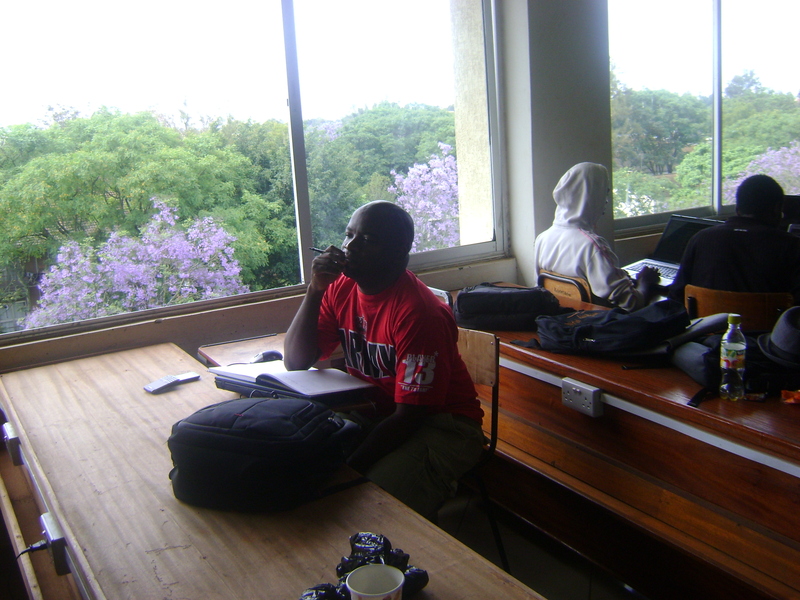 Henry Bundi, a software developer at Cellulant, was in the house to represent Cellulant. From PesaPal we had Liko Agosta (@AgostaL) the CEO. Medic Mobile were not able to make it to Juja but they were still part of us. Steve from the Mozilla Foundation started us off with a small trivia about Mozilla. Winners walked away with cool t-shirts. The Google Student ambassadors (Paul Odero and Serah Njambi) also gave us some really cool water bottles. These bottles went to the students who did some cool stuff with Google maps. 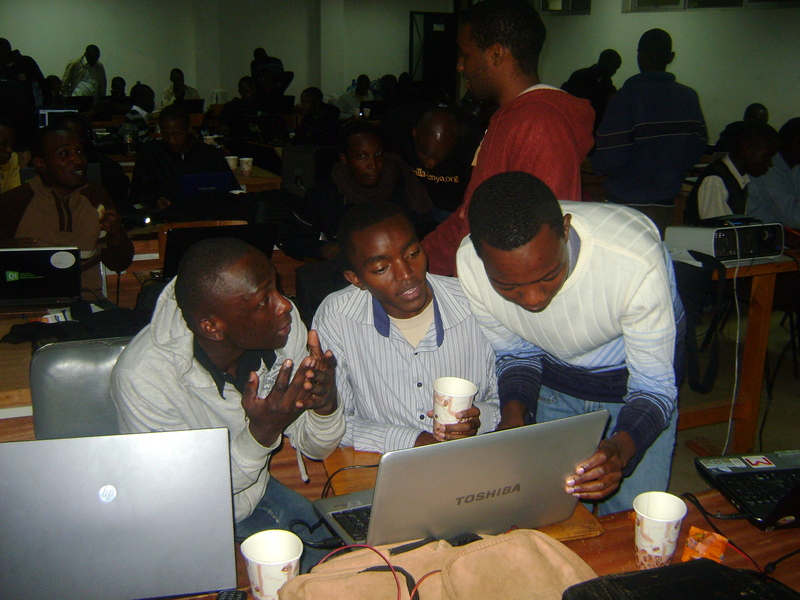 The Pamoja Media crew led by Comark started off the demo session. They first highlighted what you can do with the Ukulima.net framework and then did a demo on how the API is used. Lazaro, a fourth year Computer technology student, did the PesaPal demo. He showed the participants how to connect to the PesaPal API and receive payments. The last demo was done by Henry Bundi from Cellulant. Bundi introduced the Beep API, gave a brief overview of USSD applications and then did a demo on how to access the Beep API. Coding begun at around 12 a.m. This was a bit late but we were hopeful the participants would still be able to come up with something substantial. The ideas to be implemented were chosen by the participants themselves but any idea had to use at least one of the selected APIs. We had coffee and snacks to last us the whole night. We also had Njui, Lazaro and Kirui all part of the Click-A-House crew helping out the participants where they could. 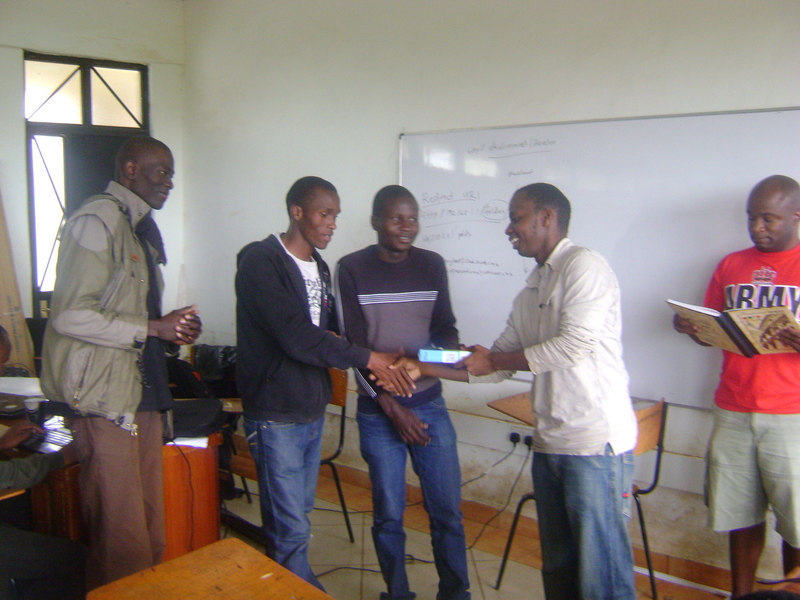 Liko did the honours, in first place we had the group consisting of Amos Wachanga, Patrick Maina and Fredrick Kithinzi with their application AgriSoko. 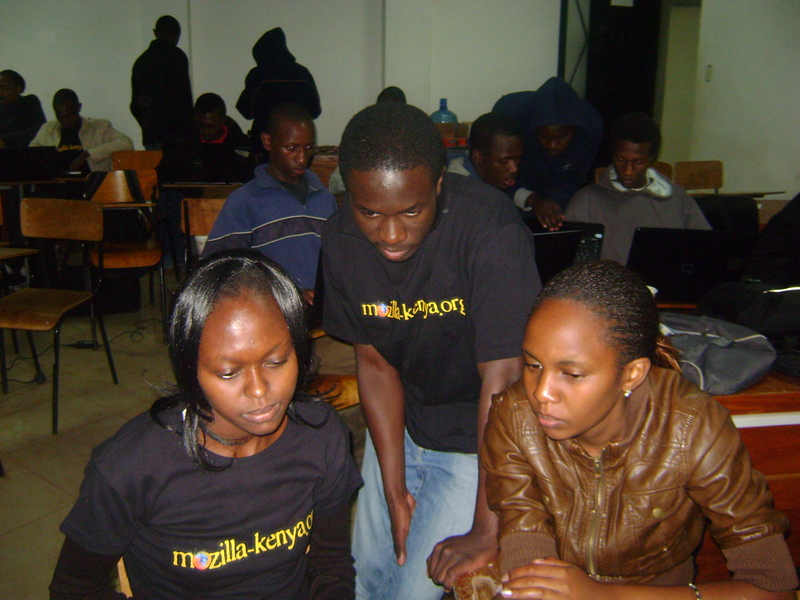 They had used the Ukulima.net, PesaPal and Beep API. In second place we had the team consisting of Elkanah Kibet ( who is the current SCOSIT chair), Paul Odero and Evans Ogola with their project CampusBiz. CampusBiz uses PesaPal and Beep APIs. 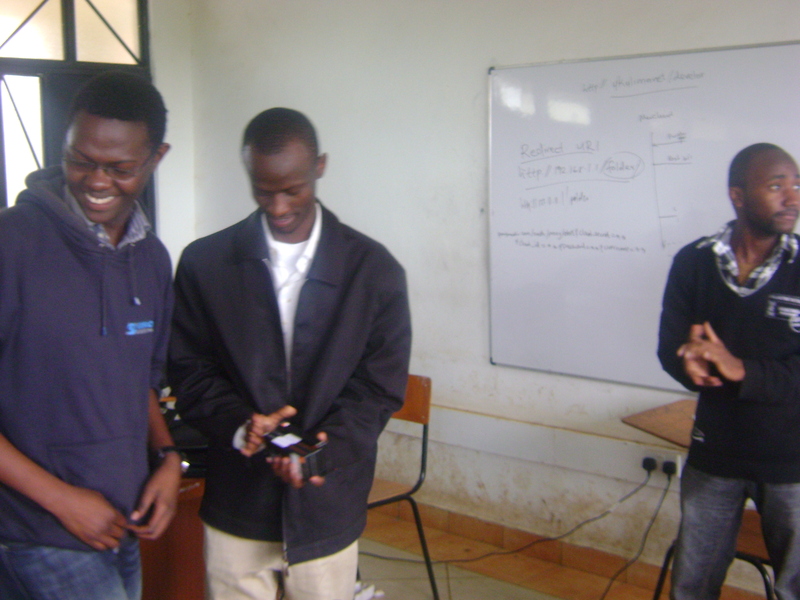 In third place we had Fred Muya and Elijah Mwangi with a system that enables you to buy wifi credit using PesaPal. We had so many interesting projects that we are not able to cover in a single post and so we will do another post detailing all the projects at the hackathon. 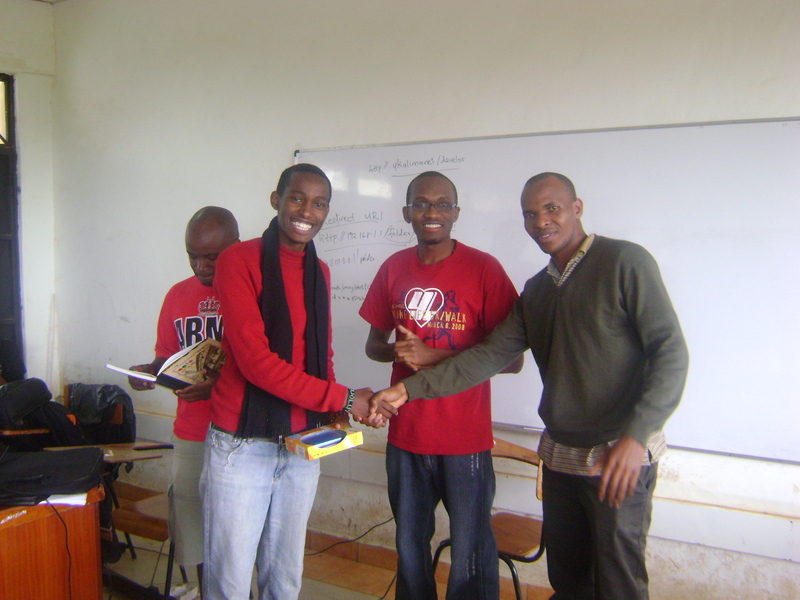 Elkanah Kibet, the SCOSIT Chairman, gave a vote of thanks and the event came to an end! Congratulation for such a wonderful event. Next time make it somehow public and include us. Since this was the first time we focused on our members only. Next time we are going to make it a bigger event. Good to see SCOSIT going strong. Next time, invite the old boys. Thanks Pato for the compliments. We hope to grow the society day by day. Next time we will also involve more people. Great work you guys are doing.